Sometimes all you need to purge out the toxicity of a bad day is a home you can return to at the end of your troubles: a place where you can lay back, take a few breaths, and just ease away your worries through your hobbies or your loved ones. All our luxury apartments at Alexan Arapahoe Square make it easy to achieve a peaceful state, whether you’re looking at our petite and pristine studio floor plans or our luxurious one-bedroom apartment models. 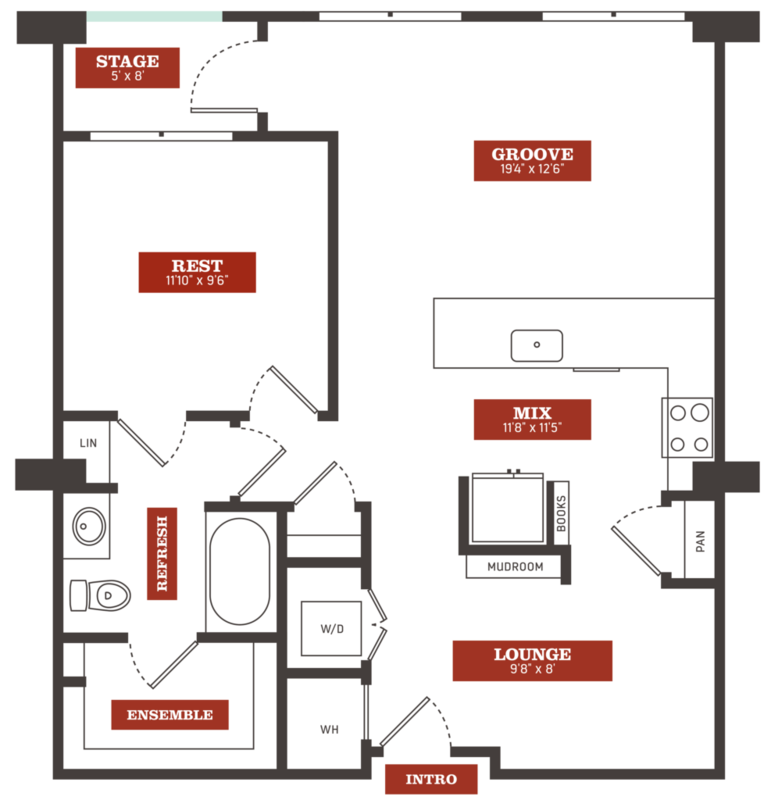 One of our luxury one-bedroom floor plans, the A8, allows you and your guests to enjoy every second of spare time in utter comfort, all within its comfortable 863 square feet of living space. Right as you step into the apartment, you’re greeted with a lovely lounge space great for whatever you desire, whether it’s a nice dining table to bring in your family, an entertainment center for watching your favorite films and TV shows, or a home office to crunch down on office assignments in your fuzzy slippers. The open kitchen has ample pantry and shelf space along with a raised breakfast bar for serving snacks. Lounge back and enjoy some freedom in our gigantic living room, complete with a spacious private patio. Finally, ease back and get the rest you deserve in the wide bedroom, or soak away your worries in the connected spa-inspired bathroom with large soaking tub. Create the ultimate oasis in the heart of Denver here at Alexan Arapahoe Square. Schedule a tour of the A8 and our other serene luxury one-bedroom apartment floor plans this weekend.